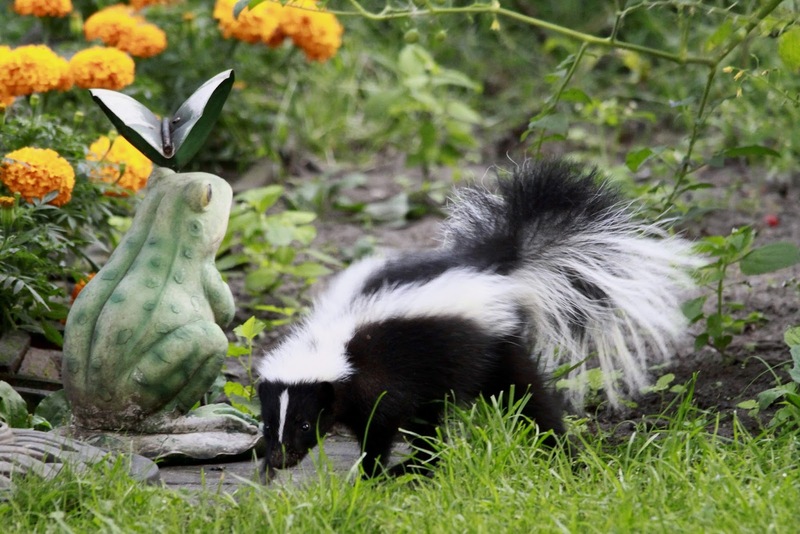 Skunks have been pretty regular visitors to the yard this summer. We usually see them in the early morning or at dusk. Two have been seen pretty regularly, but last night we had 3! We're pretty sure the one pictured above is "Fluffy", a regular visitor from last year. 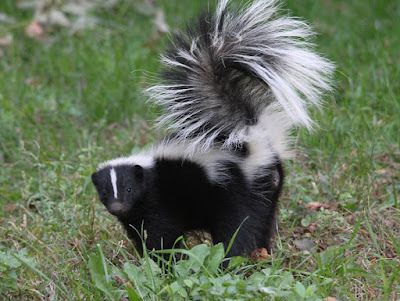 A skunk's life span is only 1-3 years due to their terrible eye sight, they can only see about 2 feet in front of them, and are often run over by cars. 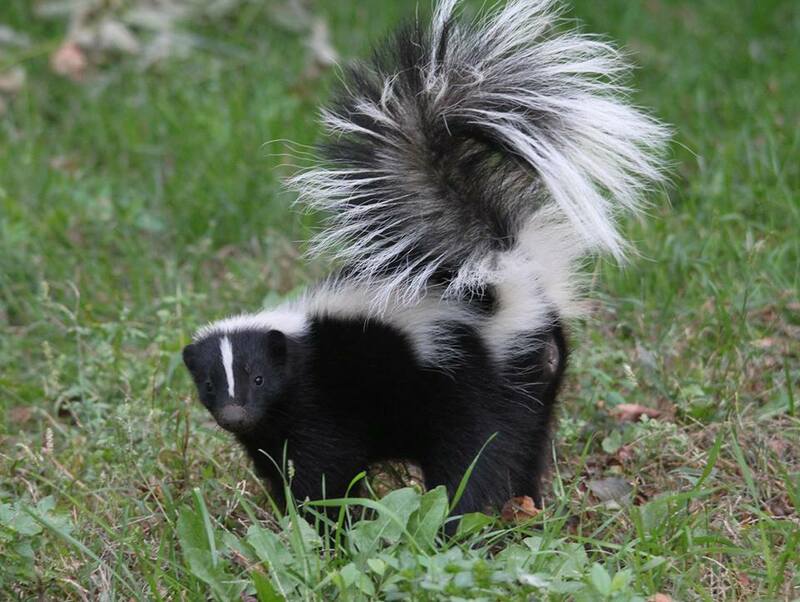 We enjoy seeing them in the yard and watching them. We had one walk right by us as we sat at the picnic table one night. We could of reached out and patted it, it was that close, but we remained still as statues and didn't say a word until it was a safe distance away. We don't see them much in the winter, as they prefer to spend more time in their dens, so we are taking advantage of the many sightings now, and Rob has taken advantage of the many photo ops of them in the garden. To read more about them and see some pictures Rob has taken please check out one of his recent blogs by clicking HERE. Enjoying the garden, Sept. 6th 2015.